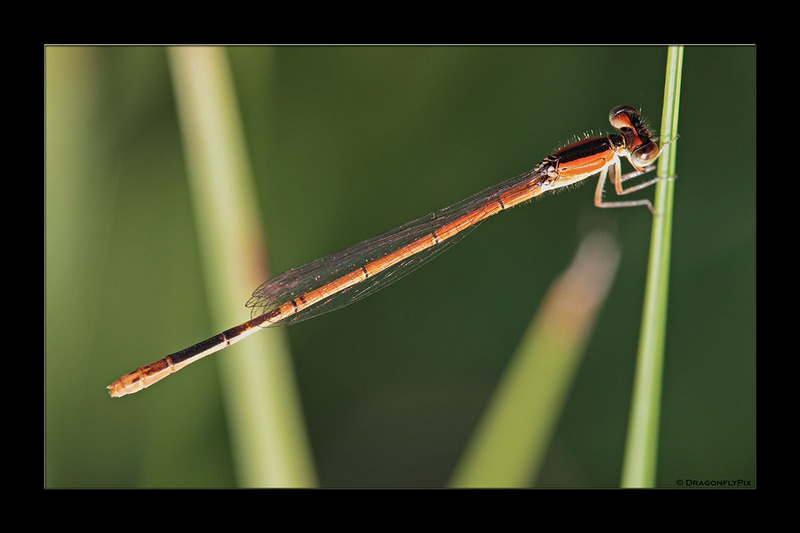 Notes • The all-female population on the Azores is unique among the world's odonata in that it reproduces parthenogenetically. 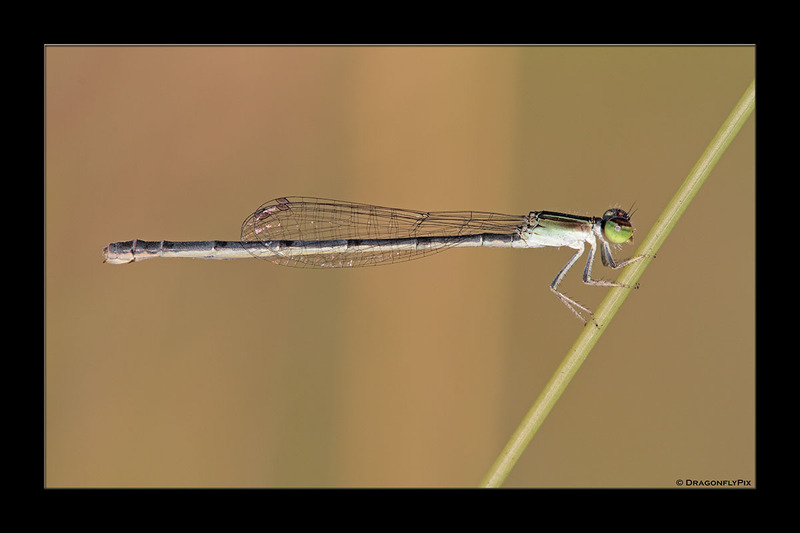 The hypothesis that this might be the case was first postulated in 1990 when attempts to collect males from the islands proved unsuccessful (as they have remained since). 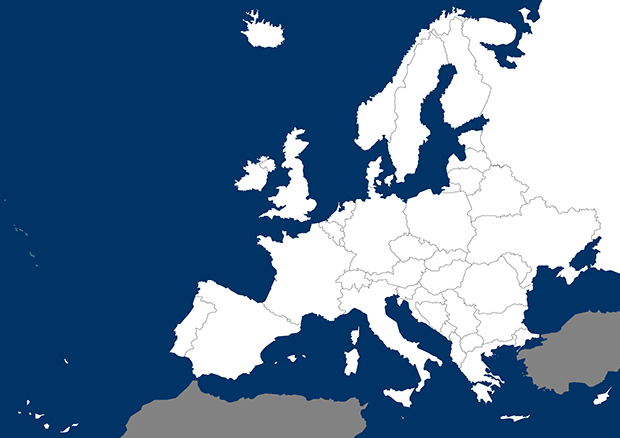 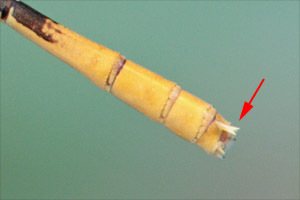 In recent years the Azores population has been the subject of intensive study (notably by Adolfo Cordero and Olalla Lorenzo), and proof of the females' ability to reproduce parthenogenetically was provided by Cordero in his laboratory in Vigo, Spain, when he managed to raise several consecutive generations (of females only, of course) from Azorean larvae. 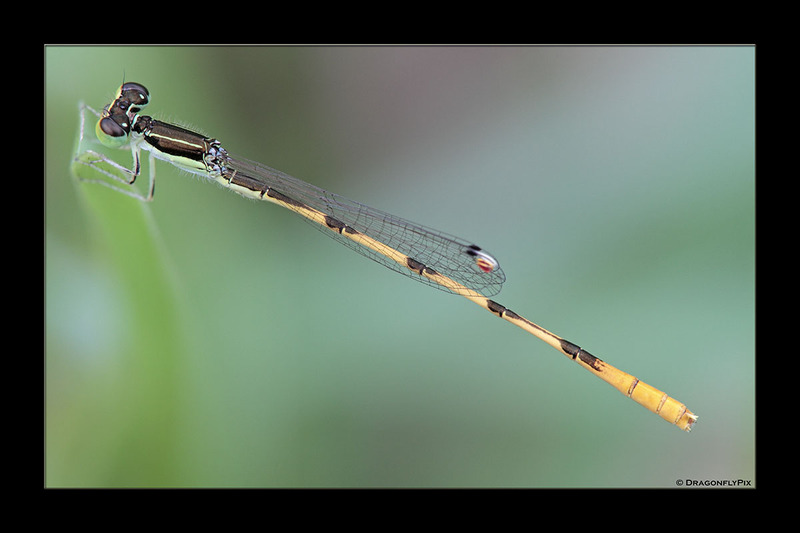 • When and why the islands' population has become parthenogenetic is not clear. 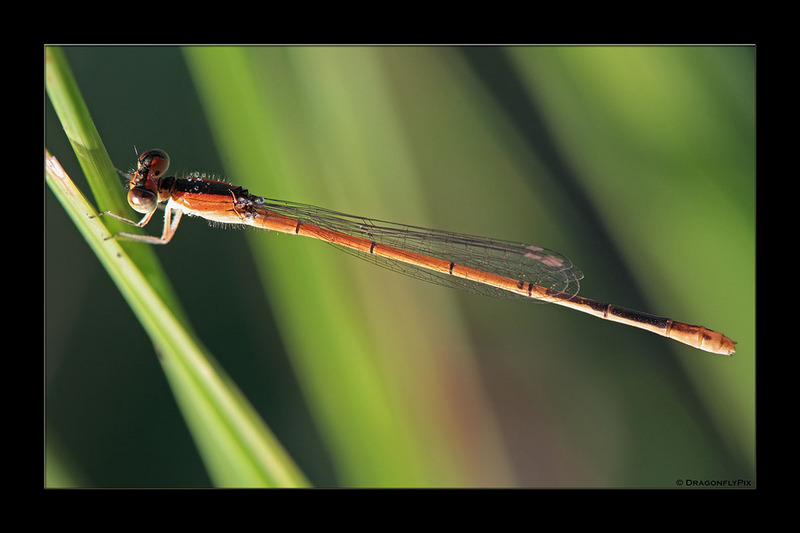 First discovered (though initially misidentified) in 1938, it is now believed that the population has been present on the islands for at least a few centuries (but not millennia), and was initially transported to the islands from America on strong westerly winds. 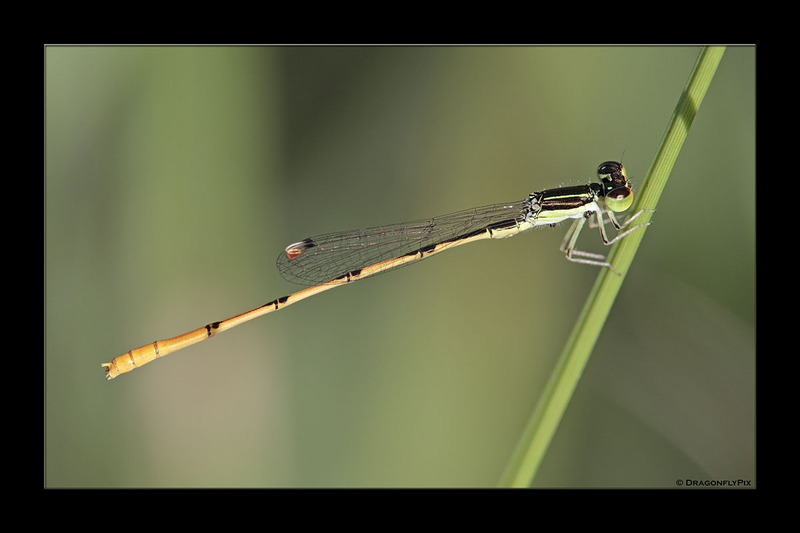 It is unknown whether the initial population consisted of males and females but something then started to push the population towards parthenogenesis or whether only parthenogenetic females colonized the islands. 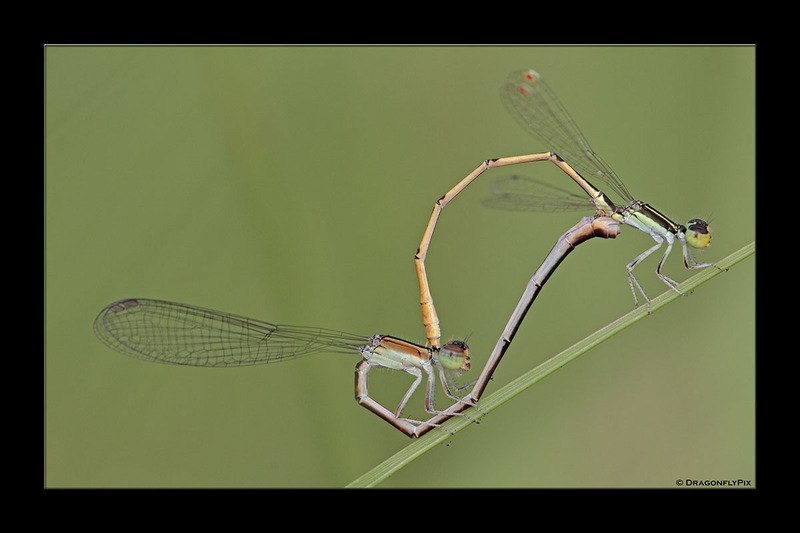 • As a phenomenon, parthenogenesis is not all that uncommon among insects and other animals, and in some cases can be explained in terms of bacterial infections (e.g. 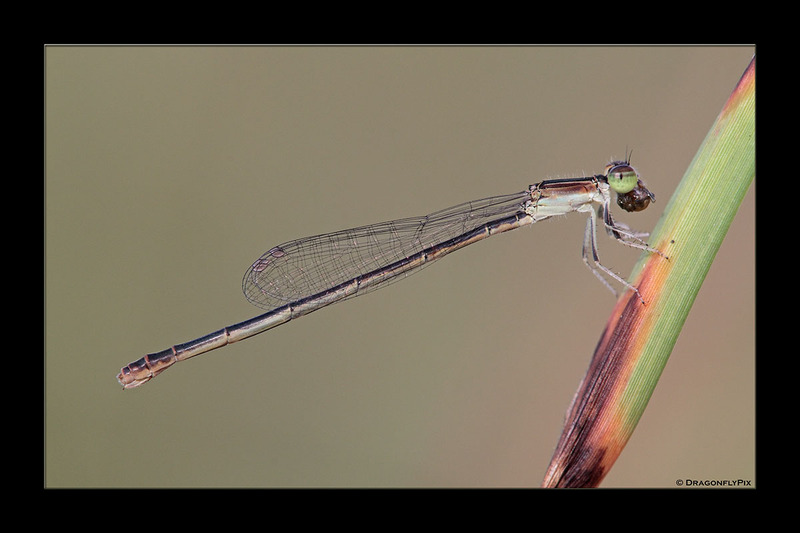 by the Wolbachia bacterium). 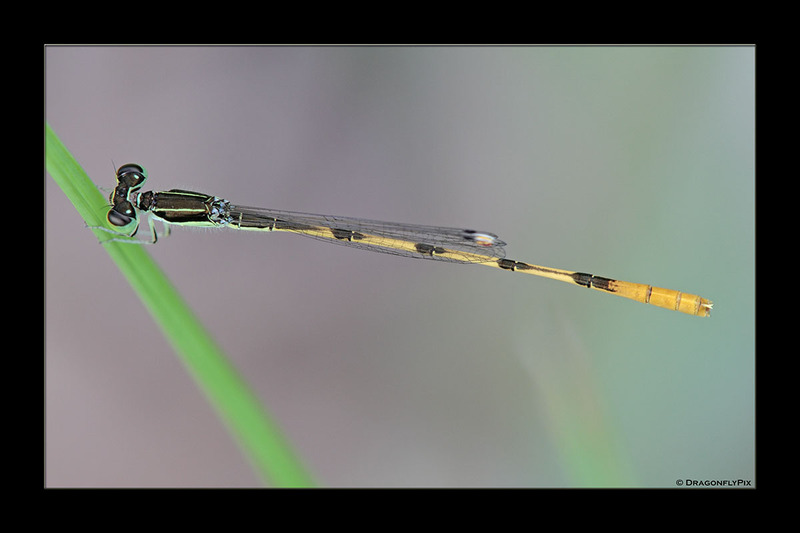 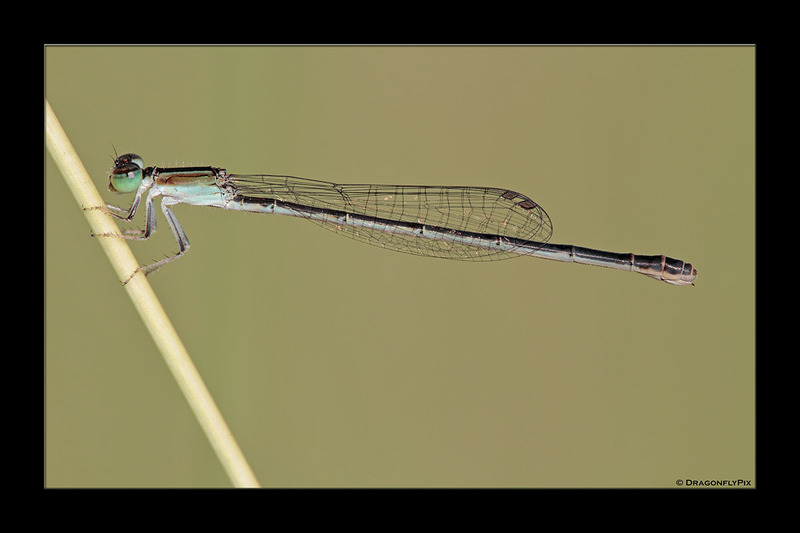 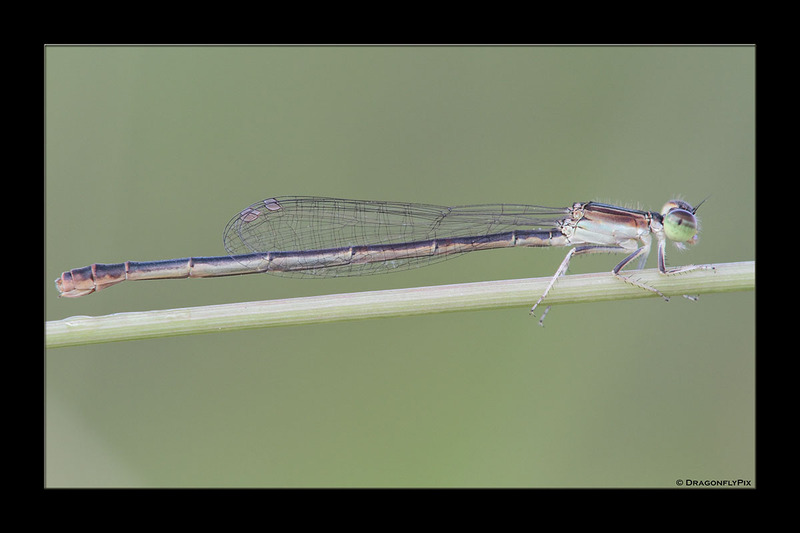 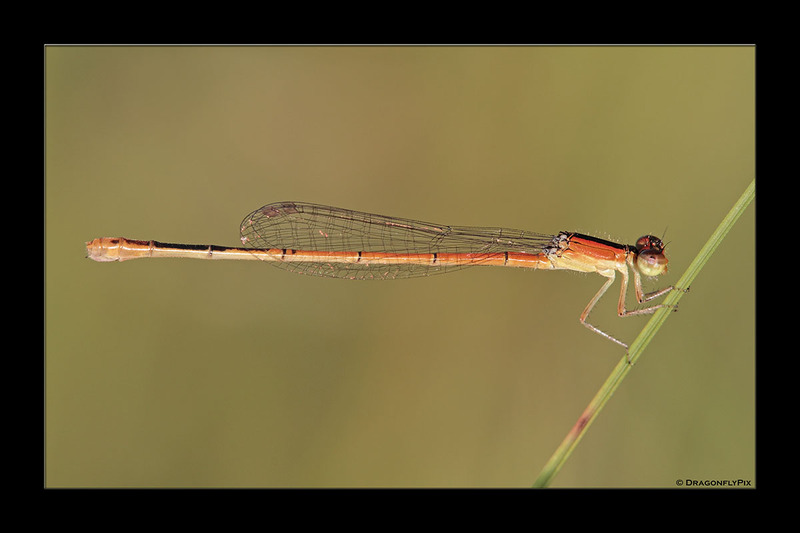 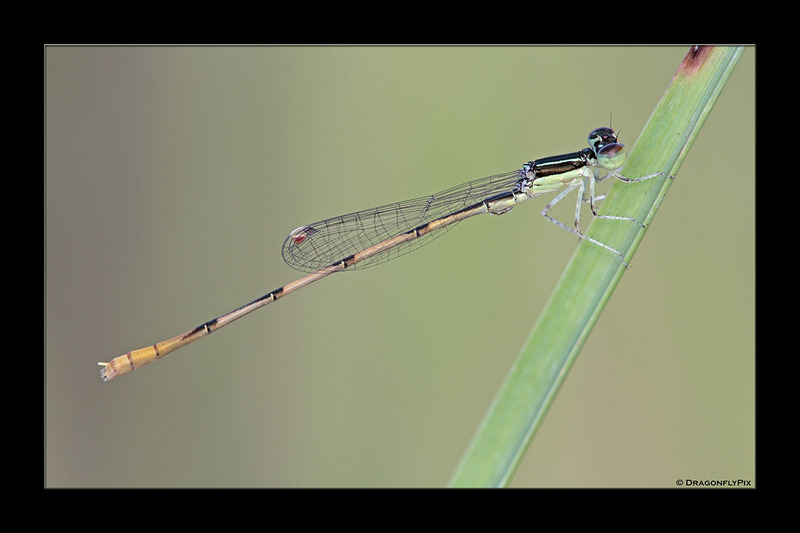 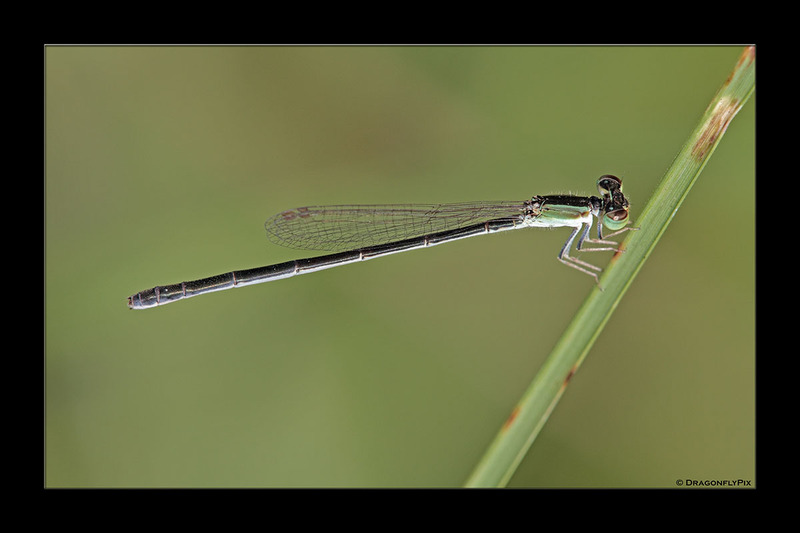 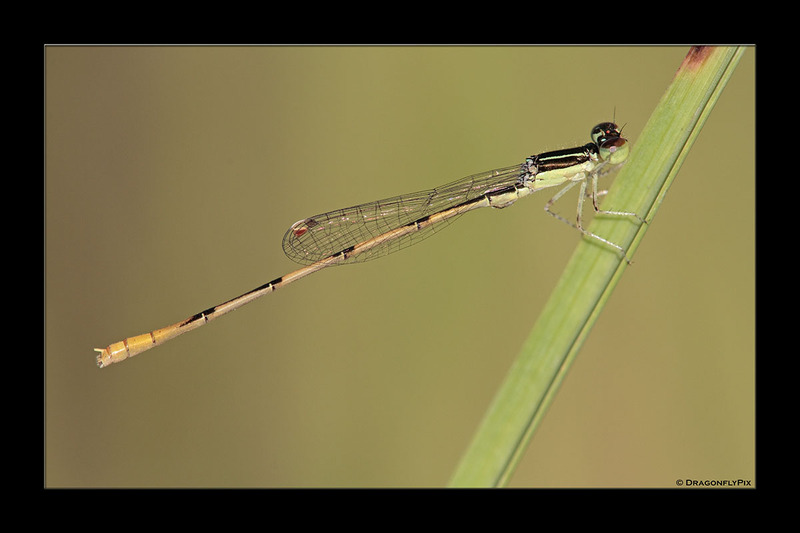 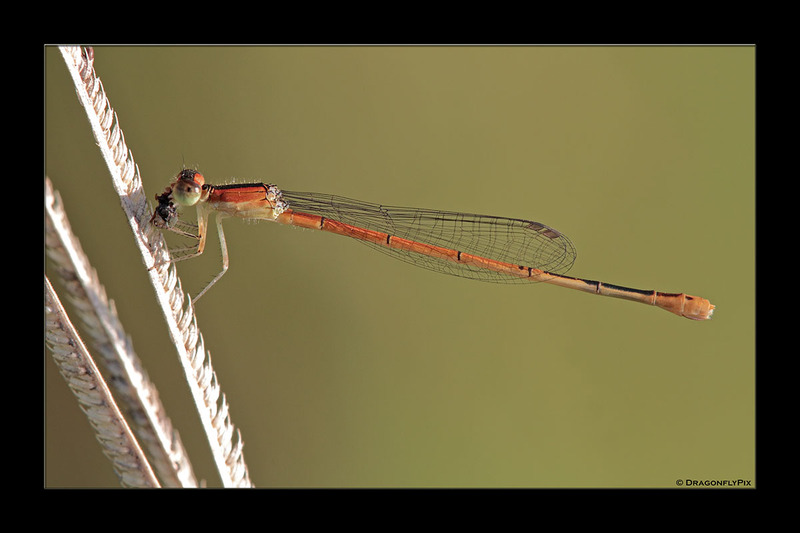 But in the case of Ischnura hastata no evidence of bacterial infection has been found among the Azorean females. 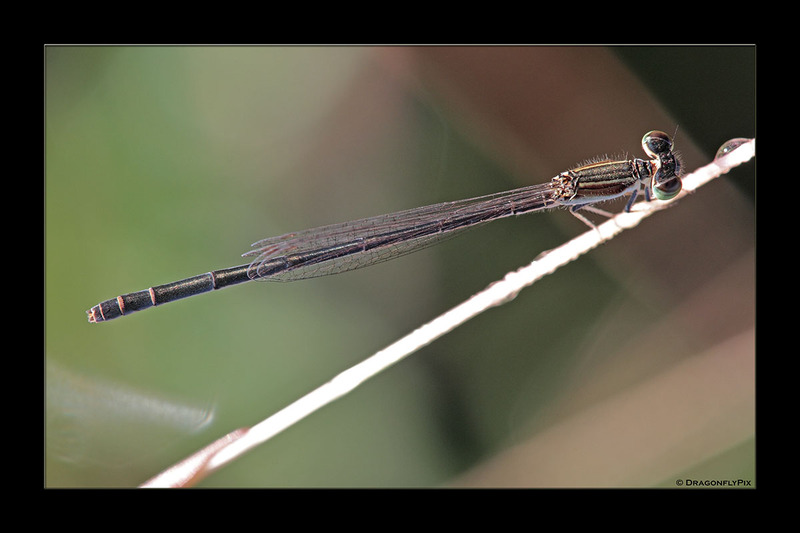 Whether today's parthenogenesis in this population is the result of some other, as yet unknown environmental factor which over time eliminated the males from the population, or whether the females themselves decided they might as well do without the males, will probably remain a matter of speculation for some time yet. 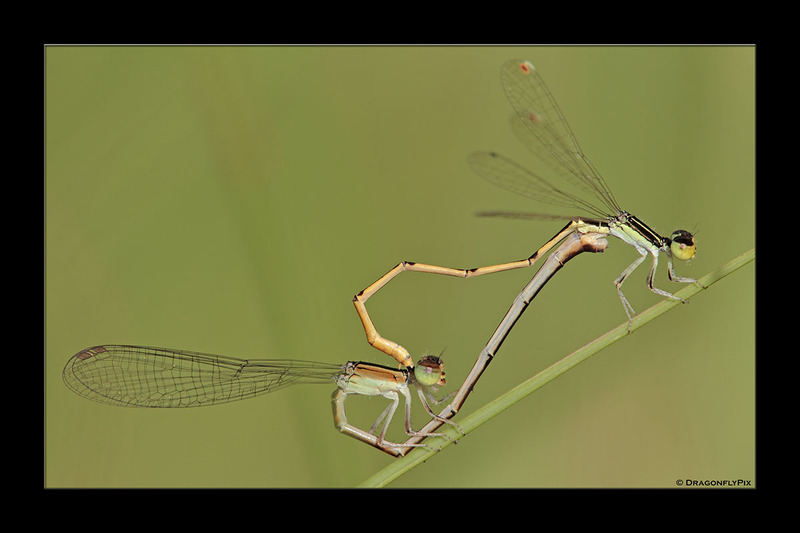 What is clear, though, is that even if only a small part of the females in a population start to develop a tendency towards asexual, parthenogenetic reproduction, then ultimately that parthenogenesis could become widespread among the population, with fewer and fewer females being available to males and, consequently, fewer and fewer male offspring being produced. 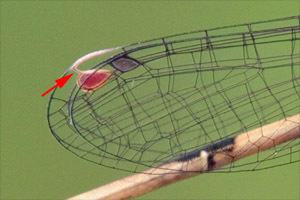 • the pterostigma in the forewing is not directly connected to the costa (i.e. 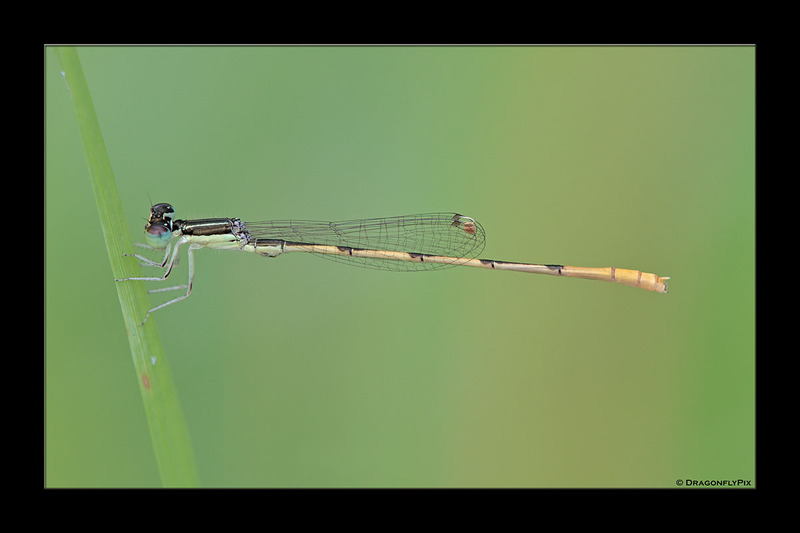 the wing's leading edge), but is separated from and connected to it by a light-coloured petiole; where the pterostigma 'ought to be' the costa itself is whitish yellow (rather than black). 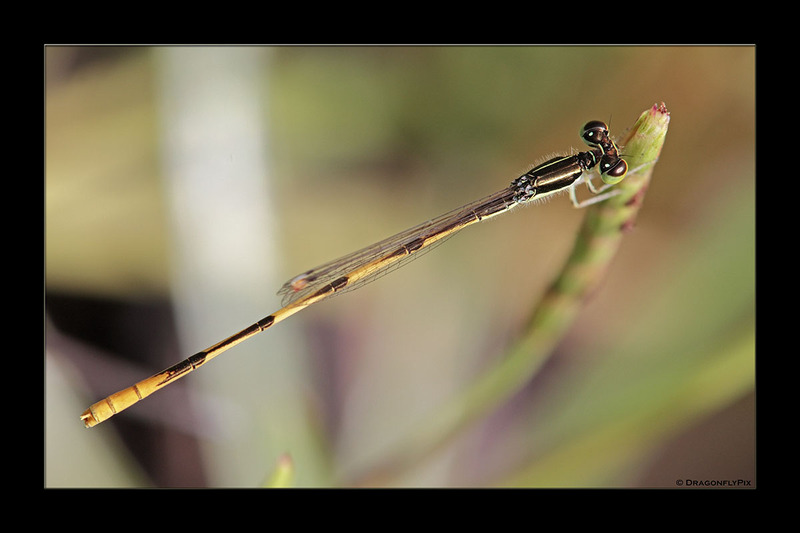 No other known species has this kind of in-wing pterostigma.